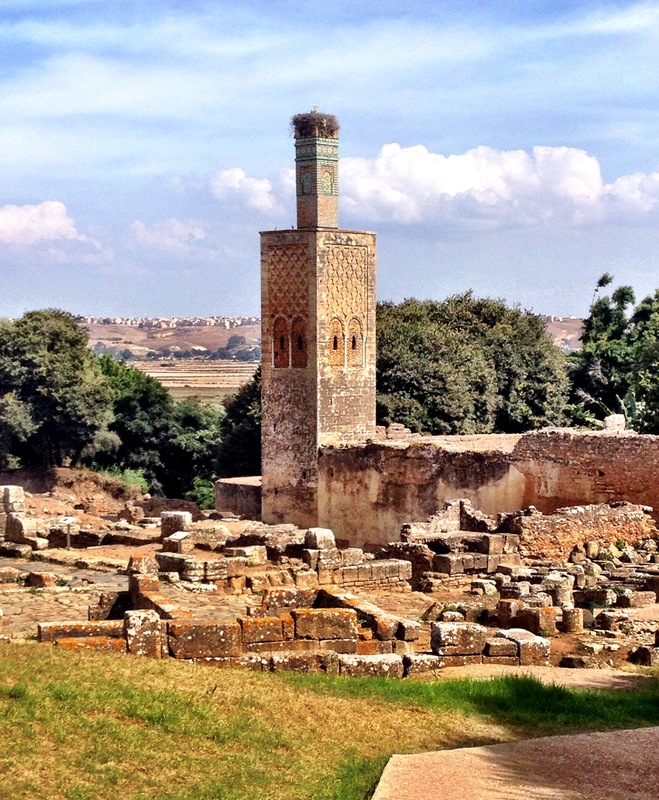 It makes me a little sad that so many travellers decide to skip out on visiting Rabat. The capital city of Morocco, although perhaps lacking in nightlife and major tourist hotspots, is a wonderfully photogenic city. It’s a modern city, with nearly all the amenities of western culture, interspersed with ancient ruins and stunning Arab architecture. Perhaps it was because I have family friends in Rabat, who were kind enough to show me the sites and hidden gems of the area, or perhaps it’s the very lack of tourists that makes it so appealing. 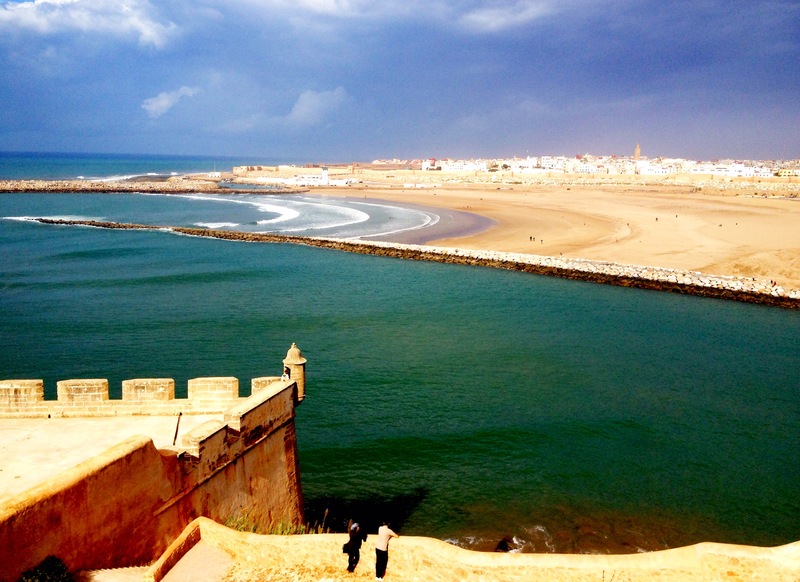 For a capital city, Rabat is fairly laid back. The crazy Medina’s of Fez and Marrakech are completely opposite from Rabat’s set prices and “I don’t care if I make a sale” attitudes. 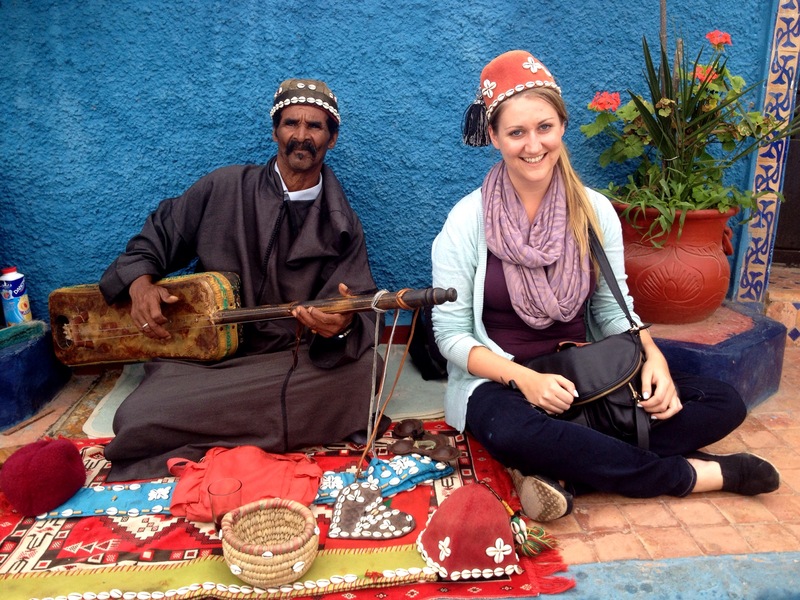 Rabat’s souks are hassle free, and yet still carry everything you could ever want to buy. Antiques, scarves, pottery, shoes, leather bags, or a full Addidas jumpsuit: the Medina carries tourist trinkets and household necessities in plentiful supply. 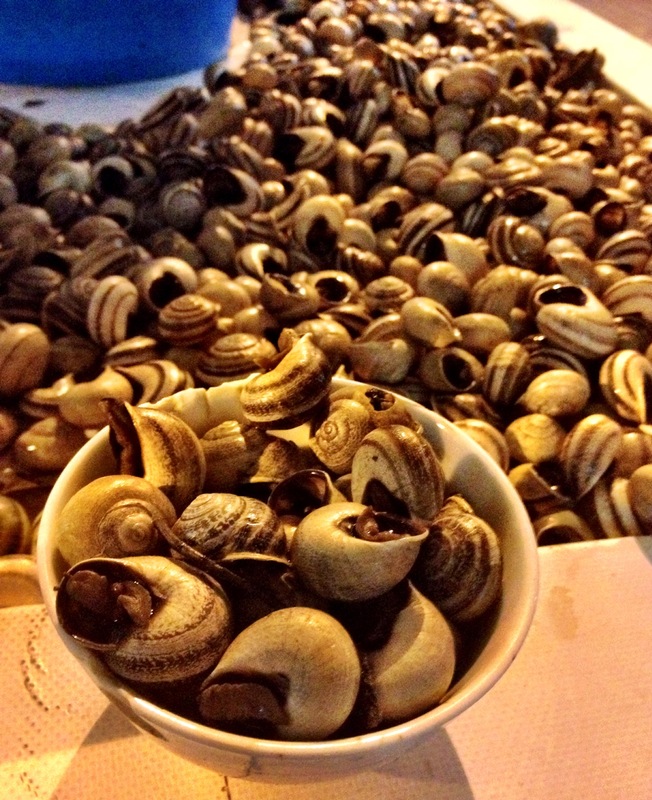 Food venders sell bowls of steamed snails (not bad), grilled meat sandwiches and freshly squeezed fruit juices. We tried pomegranate juice that was selling for less than a dollar a glass. I could hardly see the profit in selling it for so cheap. The vendor must have gone through at least 5 pomegranates, banging the backs of them with a wooden stick to loosen the seeds, just to make one cup of juice. But it sure was delicious! 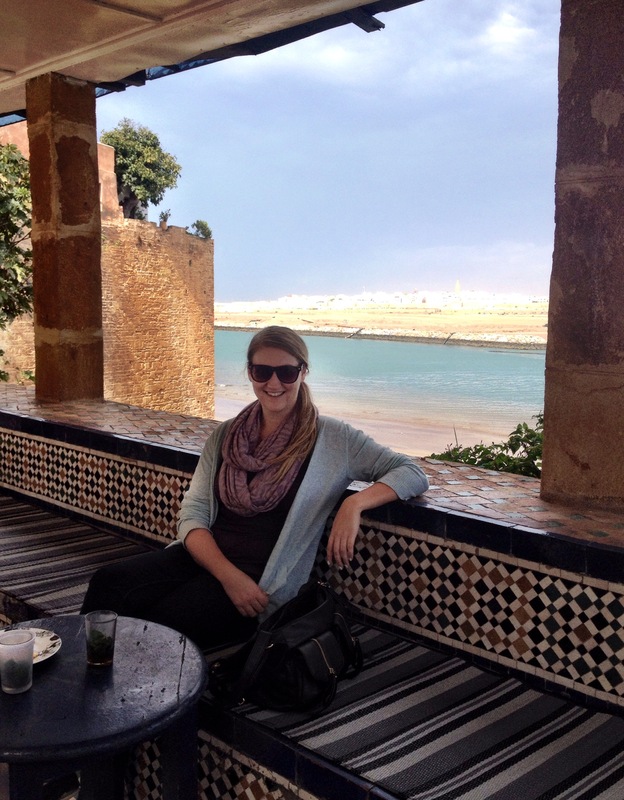 On my first day in Rabat, Tamara and I walked around the sites of the city while the girls were in school and Rick was at work. Apparently you can see all the sites of Rabat in two hours, but we managed to keep ourselves busy for two days of sightseeing. 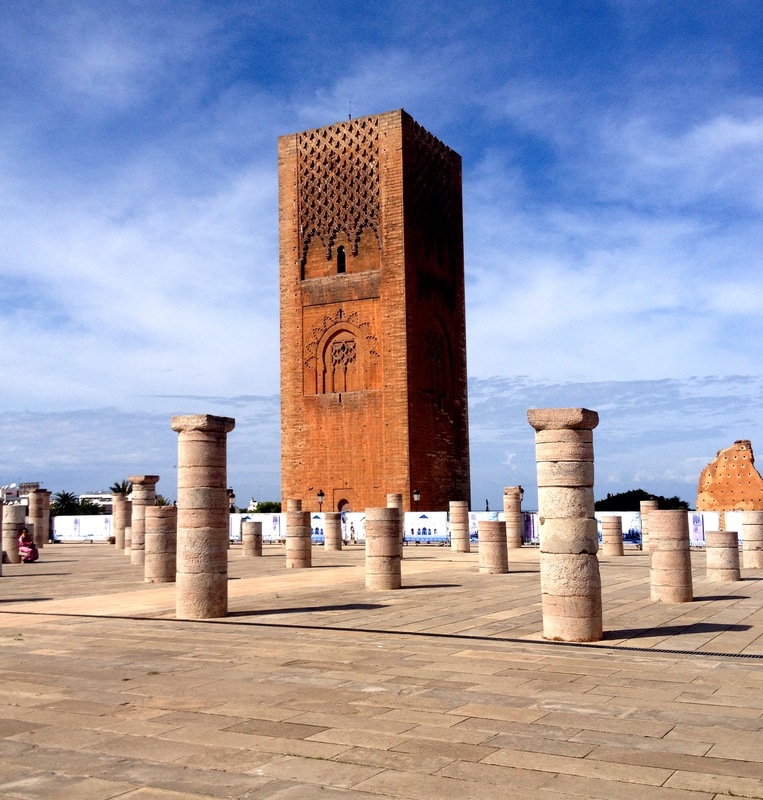 We visited Le Tour Hassan, a mosque, that was originally supposed to be the second largest in the world, at 60m high. Unfortunately, the building was left unfinished, and an earthquake destroyed parts of what was constructed. What remains, however, is a beautiful, red-brick mosque, a courtyard of half standing rows of pillars and a gorgeous, intricately designed mausoleum on the other side. There were some tourists milling about, but mostly the place was empty, apart from some ornately dressed guards on horseback at the entrance gates, and others standing at the mausoleum entrance. From the mosque we walked along the city outskirts to the Chellah. Of all the sites in Rabat, I believe this was my favourite. Originally built by the Romans in 40AD, the ancient city of Sala Colonia was abandoned in 1154. 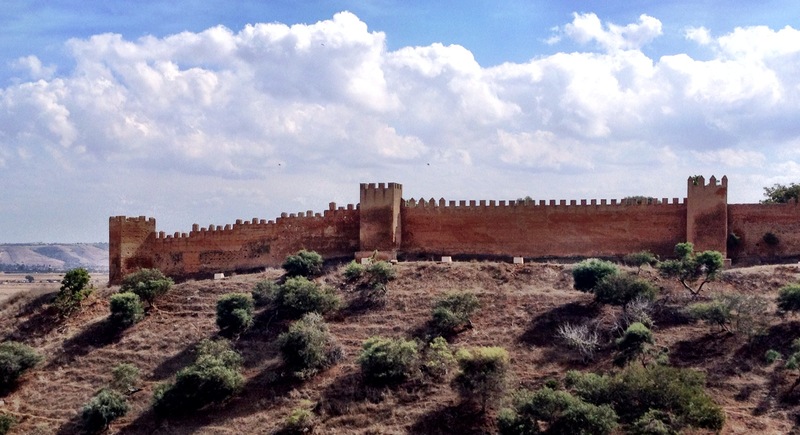 The Chellah was later reconstructed by the Arabs in the 14th century: towers and defensive walls were constructed around the roman site. What results is a wonderful mix of cross-cultured ruins: old stones with Greek letters etched into it sit next to a dilapidated mosque, partially decorated with fragments of colored tiles. The Chellah was completely devoid of tourists. It was a little garden oasis at the edge of Rabat, just out of earshot from the bustling traffic outside. 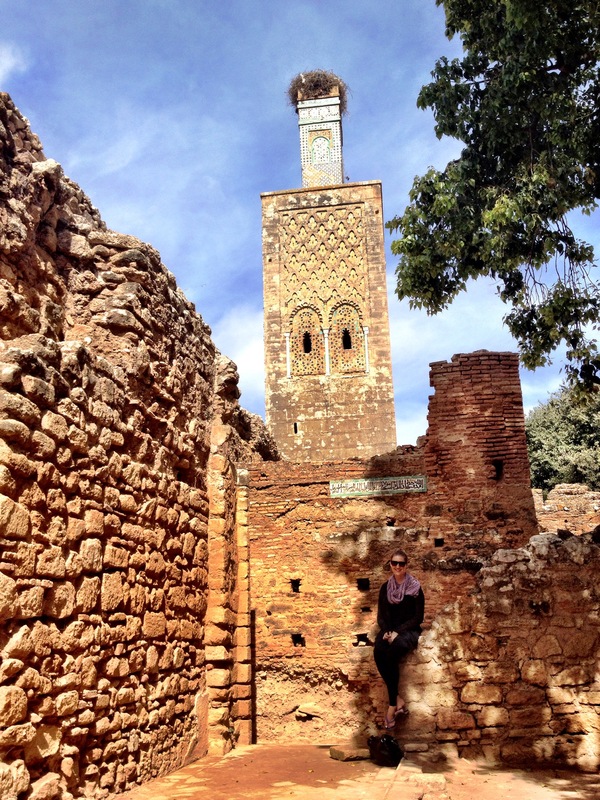 We wandered the Chellah until it was time to pick the girls up from school. Then, it was surf time. We drove South of the city about a half hour until we made it to this beautiful stretch of sandy beach. There we met up with Bob, who owns a surf school that the girls have been taking lessons at casually for the past month or two. On the day we went, it was overcast, and being the end of the summer season, we were the only ones on the beach! Now, my experience with surfing is limited solely to my failed attempts in Southern India. Myles and I rented terrible surf boards, and threw ourselves into 6ft waves on the beaches of Kovalam. We lasted 20 minutes, then sat on the beach to eat a chocolate bar… I was hoping this time was going to be better than the last! The second we arrived, it was already easier. We had great surfboards, wetsuits, and an instructor: already a winning start. Even though I put my wetsuit on backwards, and didn’t understand a word our French instructor was saying, I was still having fun. We were out in the waves for an hour. Paris and Danika were amazing: I spent most of my time being dragged across the ocean by our guide. My upper body strength is weak at the best of times, throw a current into the mix and I’m right out! I like to think of my day more as “I was AMAZING at body boarding on a really long board” rather than “I am a terrible surfer”. Regardless, the water was warm, the waves were good, and we all seemed to have fun! When we had recovered from the waves and made ourselves presentable, we all went out to a wonderful dinner down at the river. Just outside the medina there is a big sailing ship that has been transformed into one of the coolest restaurants I’ve come across. The bow has comfy cushions and low tables, perfect for drinks, the stern is a fancy dining room and downstairs there’s a cozy lounge bar that smells like old cigar smoke. The whole thing is beautiful, and the food is delicious! It’s such a rare event to visit fancy restaurants like this one when you’re a backpacker on a budget, so I really appreciated getting spoiled! We had fresh, warm bread rolls, a wonderful salmon, and Moroccan wine. I didn’t even know Moroccans MADE wine! But it was surprisingly tasty! 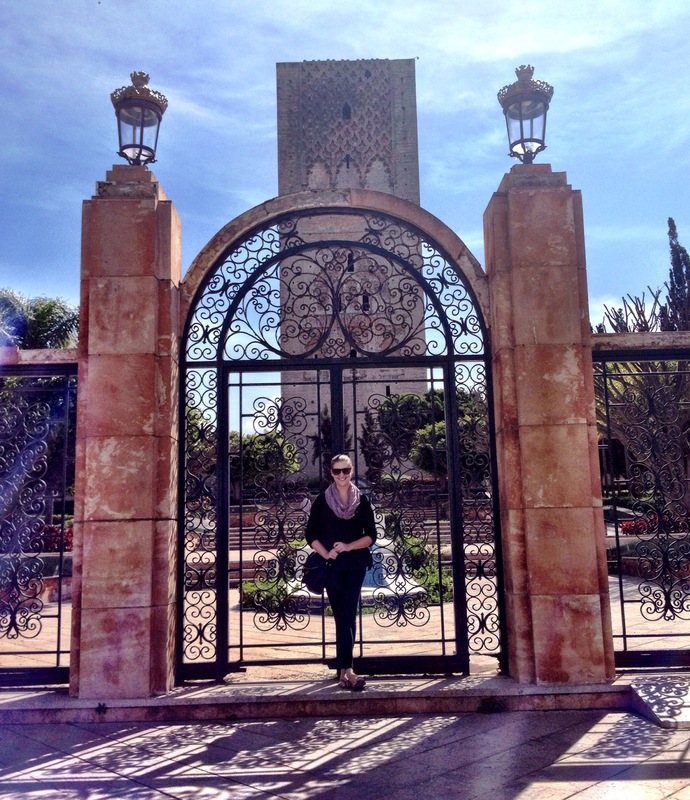 Overall I had an amazing time in Rabat. I only wish I’d had more time to get to know the city! 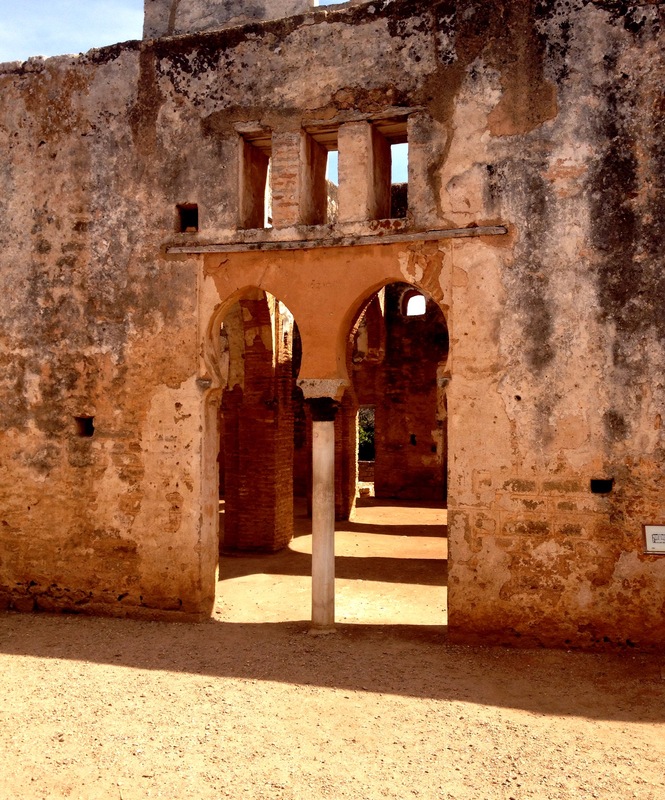 This entry was posted in Africa, Morocco and tagged chellah, medinas, rabat, roman ruins, surfing, Travel by hilarylust. Bookmark the permalink.